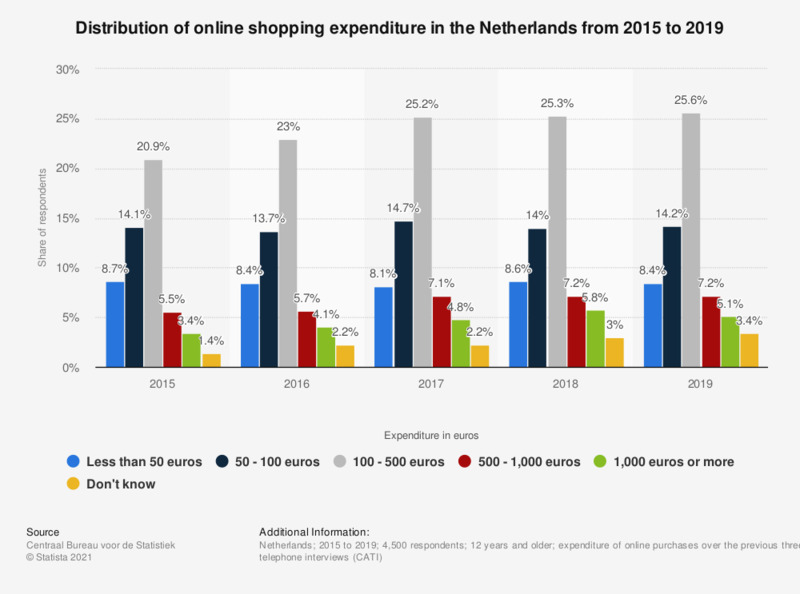 This statistic shows the distribution of online shopping expenditure in the Netherlands from 2015 to 2018. As of 2018, roughly 14 percent of online shopping Dutch individuals spent 50 to 100 euros on their online purchased services and goods. Original survey question: "What do you estimate was the total amount you spent on good or services you purchased or ordered online?"